Colinton, 92 Mont Albert Road Canterbury was built in 1926 to the design of the architectural firm Barlow and Hawkins as the family home of Walter Gillespie of the noted family of flour millers. The inter-war Tudor style house is set well back on its large corner block to allow a picturesque view of the house across the garden. The picturesque is accentuated by the sweeping driveway and by the oblique siting of the house which gives emphasis to the three dimensional form of the design. The steep pitched, shingled roof with its 'swept valleys' is well composed and can be appreciated from the street. The tall clumped chimney flues, small paned windows, and the half-timbered surface treatment all add to the romantic illusion of a substantial English country house in a park setting. This illusion is carried through into the interior, mainly in the stair hall, dining and sitting rooms. The four elevations are studied and are substantially intact, particularly on the north, south and east sides. The working drawings for the house, signed by FG Hawkins, are in existence and the house displays a high degree of integrity and intactness particularly in respect of the roof, chimneys, major windows, brickwork and masonry finishes, stair and stair hall, sleep-out, lighting fixtures, doors and door furniture, switches, bell systems and joinery. As well, the garden setting with its several early plantings, its sweeping gravel drive, its imposing front gates (replicas of the originals) and its open lawn giving a clear vista of the house, remains faithful to the original design concept. Marcus Barlow was a skilled publicist and Colinton was featured in an extensive article in the leading magazine Australian Home Beautiful in May 1927 as well as in Barlow and Hawkins's showcase publication Australian Homes also published in 1927. The Gillespie family owned Colinton until 1935 when it was purchased by the Beecham family of the timber industry. Other owners have included Walter Higgins, company director and Arthur Goode the noted stockbroker. In 1992 the property was purchased by Max and Jane Chester. 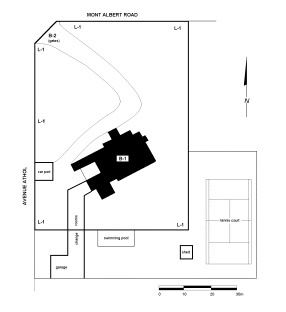 During 1962 under the Goode ownership the south west service wing was added to the design of architect David Nall who also converted the guest bedroom to allow access to the garden. 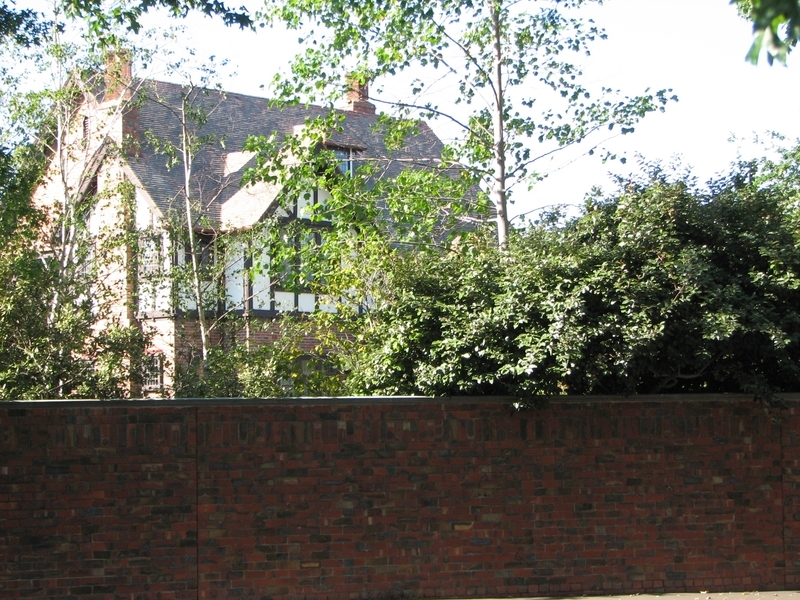 Apart from the excision of one house block on the east side, the property has retained its extensive garden setting. 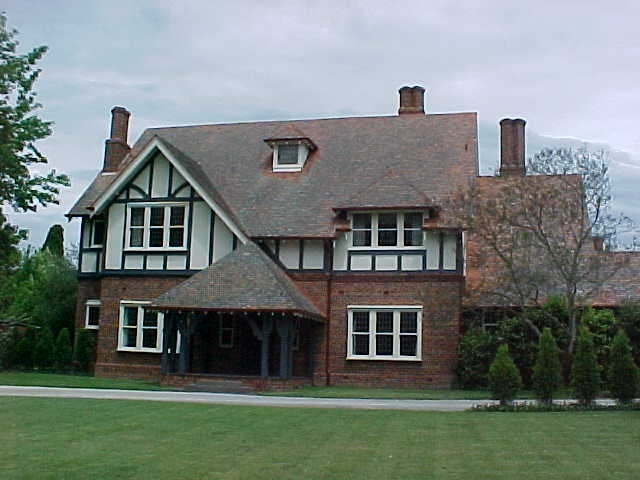 Colinton, 92 Mont Albert Road Canterbury is architecturally, historically and socially important to the State of Victoria. 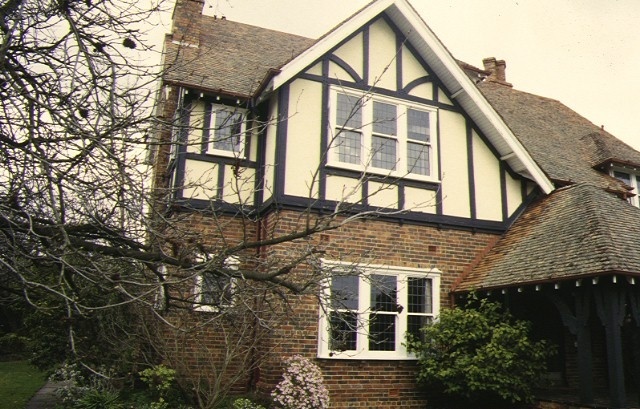 Colinton, 92 Mont Albert Road Canterbury is architecturally important as a fine example of a residence in Melbourne's inter-war Tudor style. The generous setting enables the four studied elevations to be appreciated. This style, with its sentimental, nostalgic references to an idealised lifestyle of the English country gentry, was popular from the late 1920s, not only for large houses but also for more modest bungalows and commercial developments. The high degree of integrity of the Tudor style detailing both internally and externally adds to Colinton's significance. 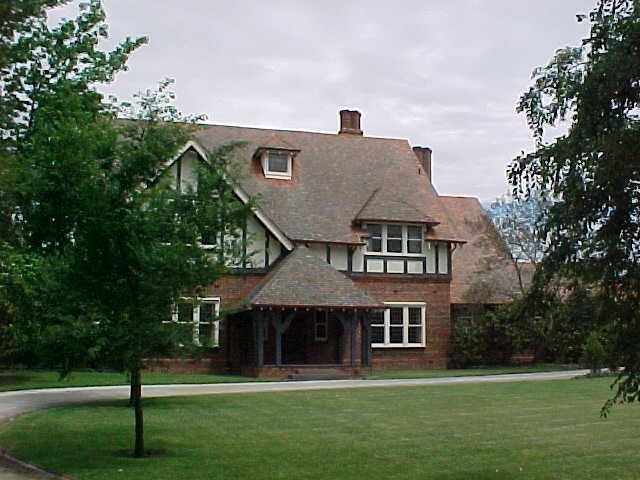 Colinton is of architectural significance as a representative example of the eclectic residential designs produced in the 1920s by noted architectural firm of Barlow and Hawkins. Colinton is also of architectural interest because the prominence given to Colinton's design in two influential contemporary publications probably led to the adoption of this style for other commercial and residential developments into the 1930s. Colinton, 92 Mont Albert Road Canterbury is historically and socially important for its long associations with the families of prominent business people beginning with the flour miller, Walter Gillespie for whom it was built and including stockbroker Arthur Goode and manufacturer Max Chester. Their aspirations are reflected in the attachment to England and Scotland and the desire to be noticed and admired combined with a practical home. The development of Canterbury as a retreat suburb for Melbourne's manufacturing, professional and business classes is a significant chapter in Victoria's history of which Colinton is a spectacular manifestation. 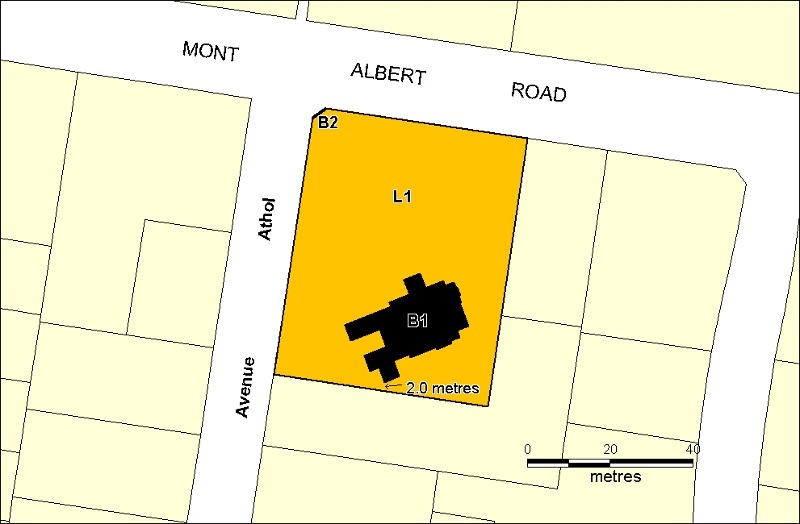 The prominent siting of Colinton on a corner block of Mont Albert Road is an essential element of what remains of the 'golden mile' whose significance extends beyond its immediate surroundings. Its social importance reflects the interplay between the place and the people who have valued it as landmark and as a place to aspire to. 1. All of the buildings marked B-1 (House) and B-2 (Gates) on Diagram 608077 held by the Executive Director. 2. All of the land marked L-1 on diagram 608077 held by the Executive Director being part of the land described in Certificate of Title Volume 8045 Folio 979. *Removal of extraneous items such as air conditioners, pipe work, ducting, wiring, antennae, aerials etc, and making good. * Repair or replacement of timber paling fences and gates. * Erection of small, plain (not "period") outbuildings including sheds, aviaries, kennels, poultry sheds and the like provided that they are not visible from the front garden and provided that no new outbuilding is larger than 10 square metres in floor area or 2.4 metres in height. * Installation, removal or replacement of garden watering systems. * Laying or repair of gravel/toppings to the driveway. 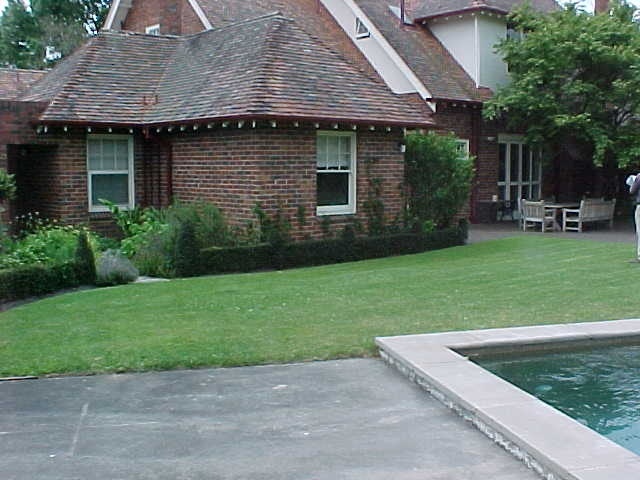 * Laying, removal or replacement of paving in the back and side gardens and the courtyard. 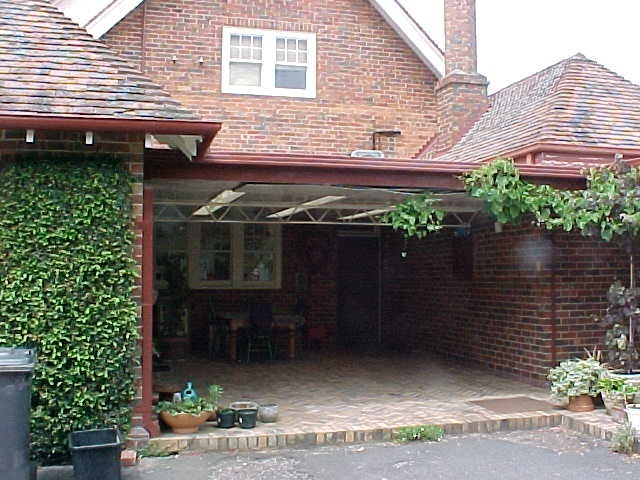 * Repair, removal or replacement of existing pergolas and other garden structures. * Installation, removal or replacement of carpets and/or flexible floor coverings. The principal significance of Colinton is the architectural and historical importance of the house itself and its setting as viewed from Mont Albert Road. Proposals for change which do not impact negatively on these to facets could be handled sensitively. New building in the front garden is discouraged. 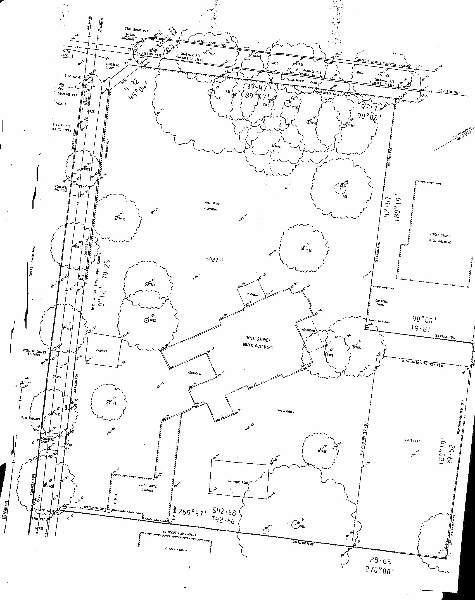 There is scope for some sensitive additions to the courtyard area and behind the house. The existing outbuildings are intrusive.